Volker Manuth studied art history, philosophy and classical archaeology in Kiel, Bonn and Berlin. 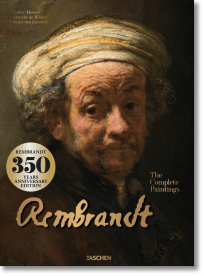 In 1987 Ph.D. he recieved his at the Freie Universität Berlin with a thesis on the iconography of the Old Testament subjects in the history pantings by Rembrandt and his early Amsterdam School. From 1988 to 1995 Assistant and Assoiate Professor at the F.U. Berlin. From 1995 to 2003 he taught as Professor of Art History (A. Bader Chair of Northern Renaissance and Baroque Art) at Queen’s University, Kingston, Ontario (Canada). Since 2003 Professor of Art History at Radboud University in Nijmegen (Netherlands).